Immigration advocates plan to fight the Trump administration’s new directive of requiring asylum seekers to wait in Mexico while their claims are processed. Speaking Thursday before a House Judiciary Committee hearing, Secretary of Homeland Secretary Kirstjen Nielsen revealed a sweeping new policy for migrants who claim asylum at the U.S.-Mexico border. Dubbed the “Remain in Mexico” plan, migrants who seek asylum at the country’s southern border will no longer be allowed to stay in the U.S. while their cases maneuver through the immigration courts, but instead will have to wait in Mexico. Much like other immigration reforms President Donald Trump has attempted to enact since entering office, this new policy is due to receive court challenges. A number of immigration-rights groups argue the “Remain in Mexico” policy violates international laws and guarantees of due process set out in the Constitution. Opponents also point to federal laws that protect child migrants. However, the Trump administration argues that the new policy stops migrants from abusing the U.S. asylum process by entering the country and never showing up to their immigration court hearings. The U.S. Citizenship and Immigration Services (USCIS) recorded 78,564 requests for asylum in 2017, a dramatic uptick from the 13,880 requests made in 2012. The requests have only increased, with the USCIS recording a record-setting 99,035 asylum requests — 62,609 of which included Guatemalans, Salvadorians and Hondurans — during the 2018 fiscal year. If immigration-rights groups are successful, it wouldn’t be their first court victory. In a five to four decision, the Supreme Court on Friday rejected the Trump administration’s bid to make illegal immigrants ineligible for asylum protections. 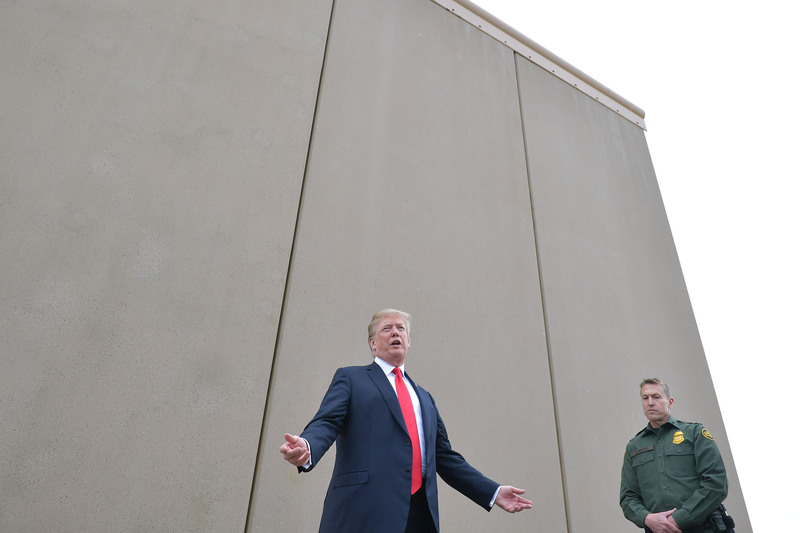 Immigration remains at the forefront of debate as the federal government has shutdown, with congressional Democrats and Trump at odds over funding for a wall on the country’s southern border. The shutdown is expected to last past Christmas.